Bright golden blooms and a fast-growing, easy-care nature make it the perfect companion to our other daisy varieties. Foliage TypeCoarse, dark green, oblong to lanceolate leaves. 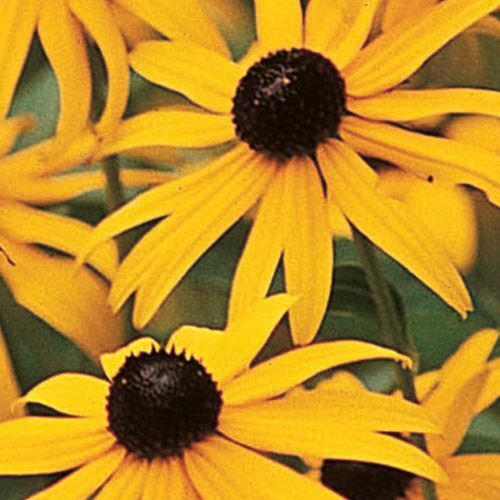 Flower Form3-4" daisylike flowers have golden-yellow petals and an attractive, brownish-black center cone. PruningRemove spent flowers to encourage repeat blooming. After flowering. Winter CareNone, except to mulch the first winter, especially in areas where plants may heave from the ground due to alternating freezing and thawing temperatures. Remove the mulch early in spring, before the new growth starts. Additional InformationAt the end of summer, leave seed heads on the plant to provide winter interest, and food for small birds. 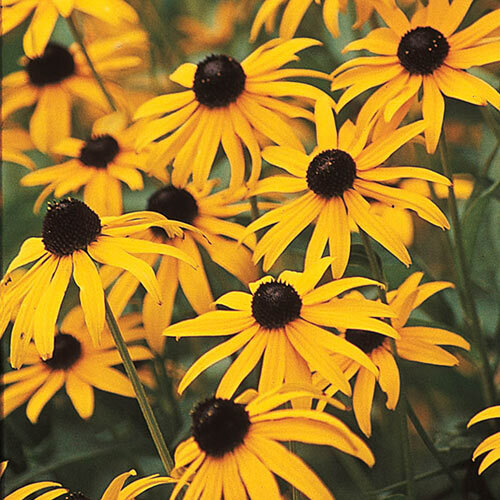 The Perennial Plant Association 1999 Perennial Plant of the Year.